Using eye pencils is a personal favourite of my make-up routine. It’s cheap, easy to use, and depending on how you draw the line (thick/thin, regular or with a cat-eye slant, smudged lines or sharp edges, etc etc), an eye pencil is flexible enough to give a whole range of looks. It doesn’t hurt that kohl is also good for the skin. Kohl protects the skin around your eyes by protecting them from extreme heat and cold. The dark colour of kohl also cuts down glare, and you’ll feel less inclined to squint in harsh sunlight (squinting leads to wrinkles!). However, over time my eye pencils harden and dry. I’ll notice this when it becomes harder to apply and re-sharpening doesn’t help. Don’t worry, though! I’ll show you how to bring it back to life again in an instant. Here’s what you need: Any skin lotion, moisturizer, or basic skin cream. Baby oil or olive oil will do nicely as well. How to do it: Just rub a tiny amount of lotion over and around the tip. Take off the excess with your finger. 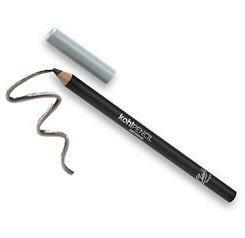 Now your eye pencil will glide on effortlessly and the line drawn will be clean and professional-looking. Try it! Some cosmetic companies are literally making us sick. What we put on our skin will ultimately end up getting absorbed into precious organs so it's time to sit up and take notice. Baking soda is great for relieving itchiness from insect bites. The itchiness comes from the insect's sting or venom, which is acidic. And as baking soda is alkaline, it can quickly neutralise the acid and relieve the itchiness. I like your tip, it’s true the oil or the lotion will penetrate inside which makes Eye Pencil soft.